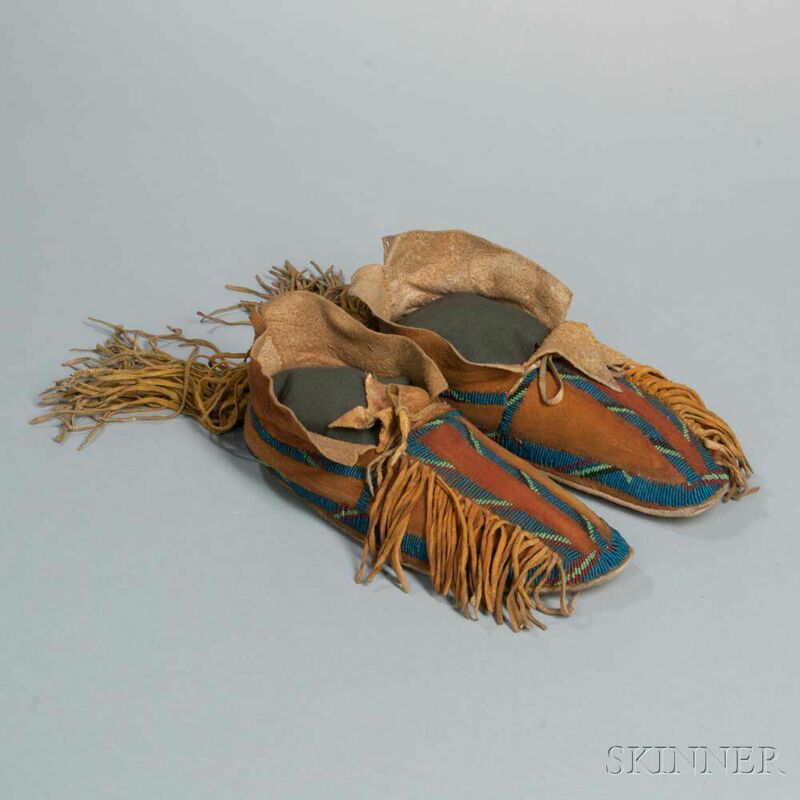 Southern Cheyenne Beaded Hide Man's Moccasins, c. 1880, with long heel fringe, fringe off one side, and three shades of ochre pigment, with single-lane multicolored beaded detail, lg. 11 in. Provenance: Ex Charles E. Seese collection, Ex John Painter collection. Literature: Illustrated in American Indian Artifacts, item 37, p. 50.